Beginning on June 3, Sri Lankan state television, along with the Government Film Unit (GFU), will launch a series of documentaries on issues of human rights and democracy in Sri Lanka. The 30-minute episodes will feature stories about topics like the Right to Information and enforced disappearances. 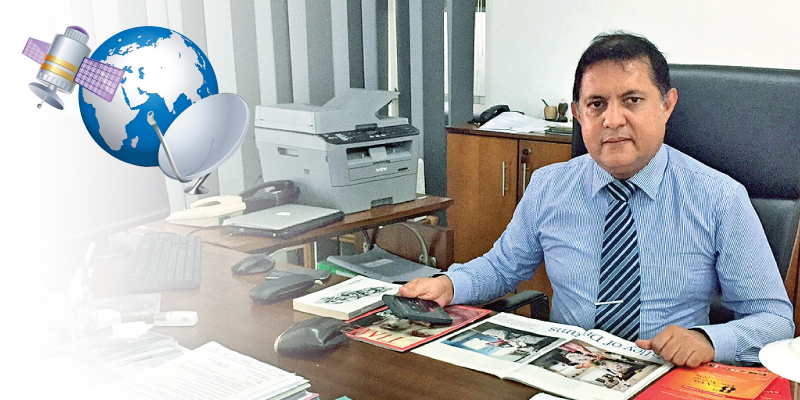 Director General of Government Information Sudarshana Gunawardhana sat down with the Daily News last week to discuss the upcoming series. Q: Can you tell me a little about this new documentary series? A: So we are the Government Information Department. Basically my position is to ensure I am the propagator for the government. But I don’t have any platform to do it. Therefore, I have to work with the existing newspapers, TV stations, radio, and other channels. Traditionally, we have been sending out press releases, or conducting press conferences, or organizing visits for journalists. But at the same time, we used to have a very vibrant unit called the Government Film Unit. We still have it, but it has lost its glory. In those days, we were the only people who could capture stuff visually. But with the advent of television, our significance has decreased. We have become part of history. So we decided to revive our Government Film Unit, which has a strong tradition, and we decided to work with television stations and, for that matter, radio and other platforms also. We realized that nowadays broadcasting is not about the channel, but about the platform. If you produce good content, you can find different platforms to show it. You develop quality stuff, and you can use multiple platforms. You can use traditional broadcasting, or you can use satellite, cable, IP TV, YouTube or Netflix. People can receive content in so many ways, on their iPads or phones or TVs. So we thought we should start developing content, focusing on multiple platforms. The main feature of the 2015 change, which can be called a ‘revolution’, was that the focus was on democracy, human rights, and reconciliation. The government has done a lot on these issues. But unfortunately, the government has failed to communicate and create discussion about them. There’s a discussion about the lack of democracy, but the gains are not in the discussion. So as a government propagator, I recognize that it is incumbent on me to find, with my team, some way of broadcasting these gains. Especially, because our victories are numerous. But those are intangible. So how best do we capture these intangible differences, and how best can we link these intangibles to tangibles? Therefore, we thought that maybe the democratic gains should be discussed through artistic forms. That’s how we came up with this idea of producing a series of docu-dramas. Q: What do you mean by docu-drama? A: Docu-drama is a genre that merged traditional documentaries and dramas. Not much work has been done in Sri Lanka in this regard. At the moment, the most popular medium, if you take television, is the teledrama. The importance of documentaries has gone down. So if one could merge these two genres in a successful manner and build a story, such as a story on the democratic gains of the government, we felt we could address the gap we have in our communication in this way. We signed an agreement with Rupavahini Corporation, the state broadcaster, and they agreed to give us time slots free of charge. We fund the production of 10 episodes, 10 different stories. Seven are produced by Rupavahini, with our financial assistance, and three are produced by the Government Film Unit. Q: What are the subjects that you are exploring? A: We were looking at the issues, and we decided we would work with the present producers who have stature in the field, but we wanted them to focus on topics like the Right to Information, and the independence of the judiciary, and the National Human Rights Commission, or issues such as disappearances, and events such as the Rathupaswala shooting, the shooting of protestors by the previous government. So we advised them to explore and develop a concept and a script, and produce it. We also met with various experts in the field to help the producers and work as advisors to the production teams. Q: How far along is the production process? A: The production process is almost over. We had to delay it because of the local elections. We will have a premier show here at the department at the end of this month, and then our plan is to start showing them to the public in June. Q: How are you handling the language issue? Will versions of the documentaries be screened in all three languages? A: That’s a challenge. In Sri Lanka, whatever we do, we have this language issue. Because Sinhala and Tamil usually don’t complement each other. So the idea is to use subtitles and dubbing. Because the productions are in Sinhala, they have to be dubbed. But we will have a series of Tamil productions also, and that will be dubbed in Sinhala. And each one will be subtitled in English. One big problem in Sri Lankan television is that all the stations are ‘Sinhalized’, except for a couple of Tamil stations. When it comes to broadcast, we have only three Tamil channels, two state and one private. All the rest are Sinhala channels, and except for one or two, they are completely run in Sinhala. We forget the fact that 25 percent of the population are non-Sinhala speakers. And if foreign tourists want to know what’s happening in Sri Lanka, there’s no channel. So the idea is that maybe in the process, we can produce some content in English. But that’s in the future. Q: With issues like enforced disappearances, the producers must be interacting with people who have suffered tragedies and are quite angry not just with the former government, but with the current one, too. As a state-sponsored documentary, how can you be objective and deal with critical angles? A: It has been a difficult issue, not just because of state sponsorship, but because we are a government with an agenda of reconciliation, and we have accepted publicly that there are allegations about violations of international human rights law during the last phase of the war. Not only the last phase of the war, but throughout. And we agreed as a government to conduct a domestic independent investigation. We also agreed to establish independent reconciliation mechanisms, which were devised locally after a massive consultation process not only with the victims and survivors, but also the general public, by way of the Consultation Task Force on Reconciliation Mechanisms. So various things are happening, especially regarding disappearances. For the first time in history, the Office of Missing Persons Act, which was long overdue, was brought in and adopted. And the office was instituted and appointments were made by the independent Constitutional Council. The last budget has allocated a considerable amount of money for the issue of addressing disappearances. Also, to prevent any future occurrences, the government has ratified the International Convention for the Protection of all People from Enforced Disappearance. All these things are happening, and we wanted to portray them. But we see at the same time there’s still unrest, still protests, still people who suffer and feel that justice has not been served. So we have to keep a balance. A problem we have is that we don’t have people who understand the nuanced nature of this issue. Because the people who work in the state sector have been trained to see any human rights issue as something against the government, against the country, and against the nation. They see them as not genuine concerns, but funded and aided and abetted by international agents, or the so-called ‘diaspora’. So the problem lies in getting people in the state sector to see differently. I’m not saying this is the best production we’re going to have, it’s just a first step, but in the process, people will be inspired and come up with new ideas. We want to invite filmmakers to pitch their ideas so that we can also support independent productions. So I consider this to be a first step that is long overdue. We hope that the series will generate a lot of public discussion, because when you do this kind of work, you will be criticized by at least three quarters of the people. One is the Sinhala majority, who were running the last regime, and who are still controlling public opinion. They would attack this, saying it’s a betrayal. Then, from the victims’ point of view, it might be too mild and an attempt to whitewash government actions. The third would be people who see this as a political move, who say, “OK, now the department is trying to get into politics.” Because when you talk about past abuses, you have to pinpoint, and when you talk about impunity, you have to talk about people who were not apprehended. And that could be seen as a political vendetta. So we have to be prepared for attacks from three fronts. And a huge challenge will also be to win the audience over. In this competitive television business, it’s always a challenge to make sure your programme is watched by a considerable number of people. That’s why I want to put this on multiple platforms, like YouTube. Q: How can people watch, and what will the first episode be? A: It will run on Sundays, from 7:30 pm to 8 pm, on national television, from June 3. And we will have repeat telecasts, and upload it on our GFU YouTube channel, soon after the first screening. 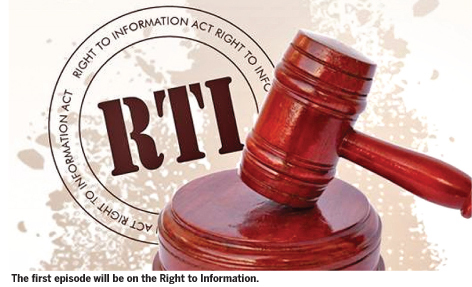 The first episode will be on the Right to Information. It’s a true story, where a particular village in the Eastern Province was deprived of their postal services, because the postmen did not want to go into that village. There was a checkpoint and the postmen would normally just deliver the letters to the checkpoint, and people had to walk there and get their mail. Their appeals to the authorities failed to get any response. And then a villager, after consulting others, filed a Right to Information application. As a result, the postal authorities ordered their postmen to go and distribute mail to that village. It’s a success story. Through that true story, we thought we could create awareness, and show some gains. It may look intangible, but for these people’s lives it’s very tangible.